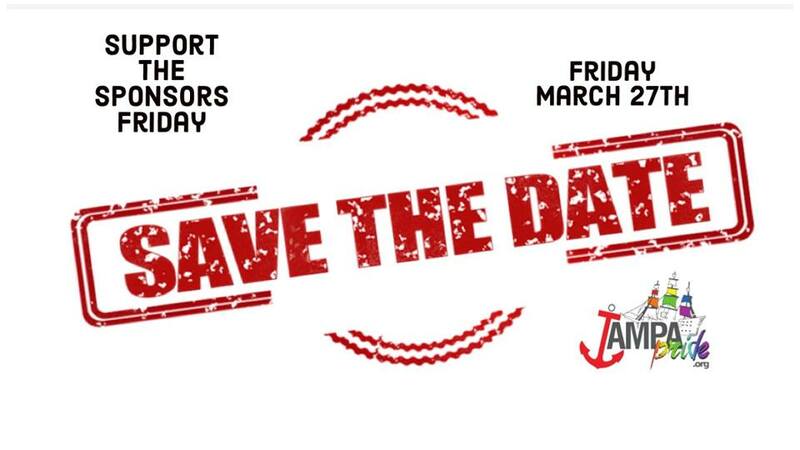 Friday Night, 3/27: Support the Sponsors Night. From City Side Lounge to Hamburger Mary’s Brandon; From Sparkman Wharf to the heart of Ybor City’s LGBTQ+ bars & restaurants: enjoy your favorite ones and start celebrating your Pride in the Big Guava! Come out on Friday night before Tampa Pride to your favorite sponsor bar or restaurant and celebrate BECAUSE YOU CAN!